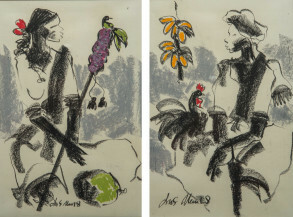 J.M.S. 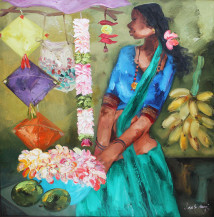 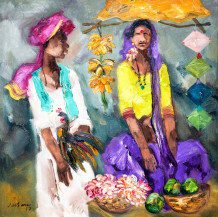 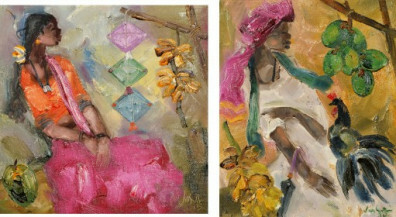 MANI was born in Bangalore in 1949 and studied at the Ken School of Art. 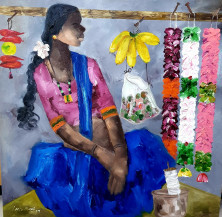 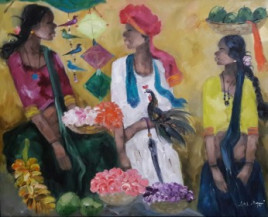 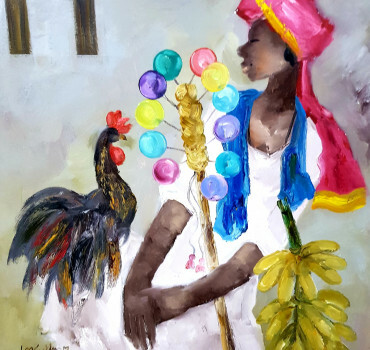 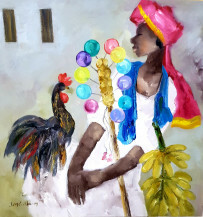 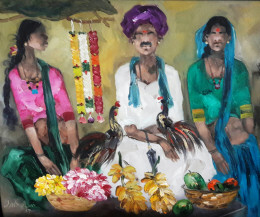 He is known and easily recognised for his sense of colour and his strong, fluid strokes portraying the Badami people, landscapes in water colors and charcoal drawings. 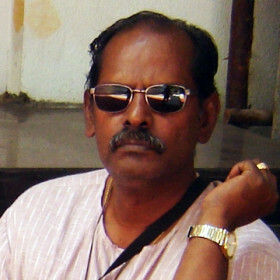 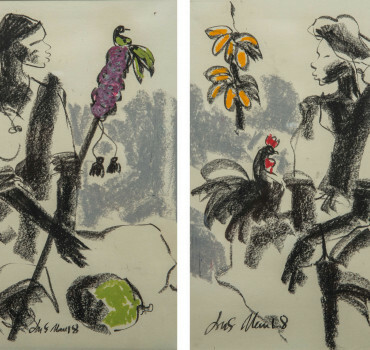 He has held solo shows since 1979 at Bangalore University; Kritika Art Gallery (1981,82); Regional Centre , Chennai (1982); Lee Arthur Studio, New York (1994); Gallery Maya, Hong Kong (1995); Mall Gallery, London (1995); Switzerland - Graphics (1995). 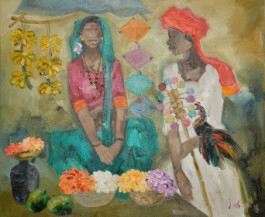 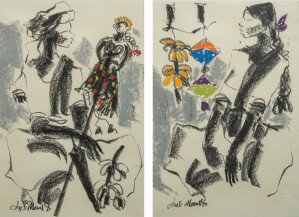 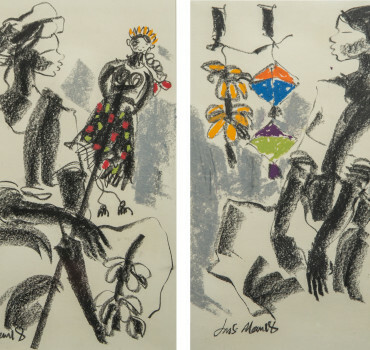 His works are a part of many national and international collections. 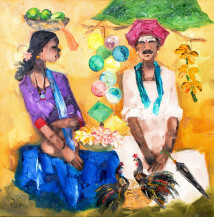 Badami People 2 | 24" x 30"
Badami People II | 24" X 30"